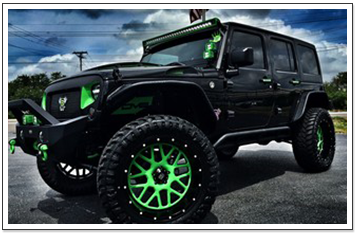 Turn an ordinary vehicle into your dream car by bringing it to FlexShield. 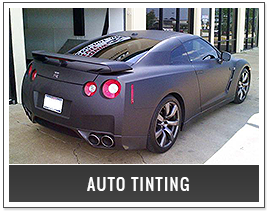 We offer auto customization, auto window tinting in Denton, and accessories for vehicles of all makes and models. 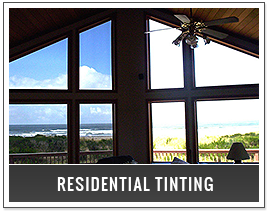 For more than a decade, we have been Denton's premier car window tinting and customization shop. 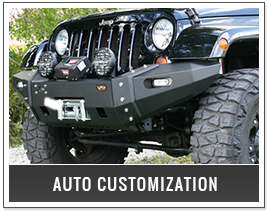 Our experts install everything from custom wheels and tires to state-of-the-art alarm systems, all at competitive prices. 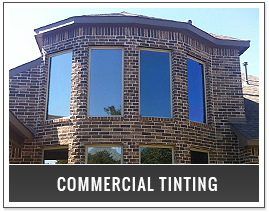 Contact us at 940.220.6777, today, to make an appointment with a member of our team. 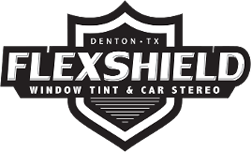 FlexShield is a small business in Denton, Texas, owned by Chris and Tara Smith. 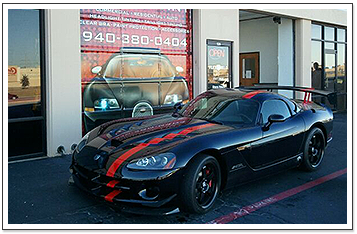 Chris and Tara are a husband-and-wife team who lived their dream of opening an auto shop together. 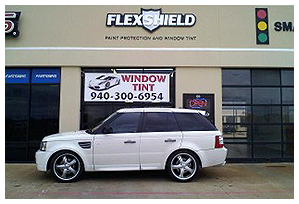 FlexShield was an immediate success and quickly gained a reputation for quality, value, and great customer service. 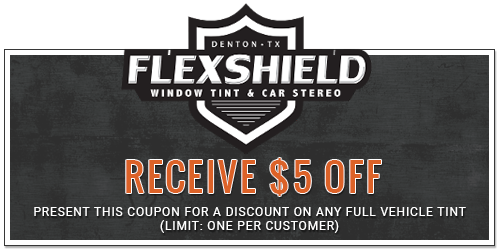 Business doubled every year, and soon customers from all over the Dallas-Fort Worth region were coming to FlexShield. The Smiths were able to hire a team of great employees and upgrade to a bigger location. 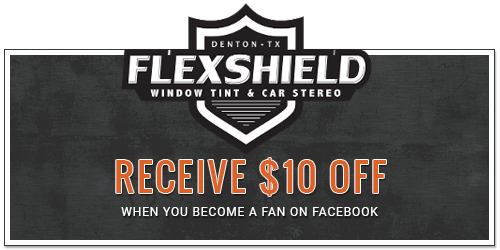 Thank you for your interest in our services, including auto window tinting and car stereos in Denton and surrounding areas. For questions or comments, use the information below. We look forward to hearing from you soon. 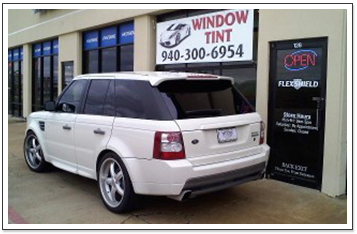 The Experts in Car Stereo and Window Tinting in Denton, Grapevine, and Lewisville, TX.